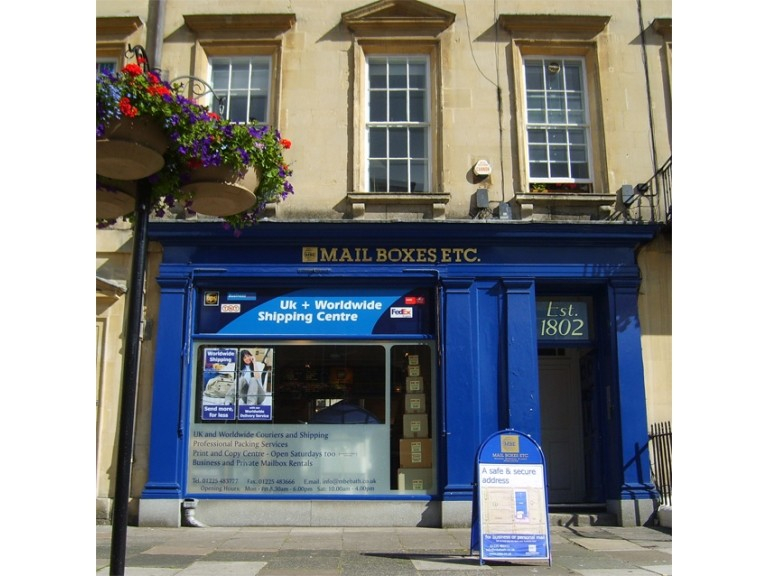 Bath based Mail Boxes Etc provides an excellent courier and messenger service. Whatever your courier delivery requirements you can trust Bath based Mail Boxes Etc's vast experience. We will pack your belongings safely and securely in our centre in Bath, and find the best solution to meet your business needs. Using the appropriate courier partner, let us get it there for you safely! UK Same Day/Next Day courier and messenger services from Bath. When time is short we have a variety of courier services to meet your time frame. Advance bookings are taken for same day courier services. Economy Courier and messenger services from Bath. When time is not a critical factor we can offer lower cost, slower European courier deliveries. We have particularly good courier rates to Europe, the Far East and Australia. When courier insurance is not available we can offer you courier protection with our own DECLARED VALUE COMPENSATION SCHEME. No matter how small or fragile your items that you want to courier are. We work with the best courier agents in the business such as UPS, TNT, FedEX, and Parcelforce - so we can find the best courier deals based on cost and time. Please call for an individual courier quote. At Mail Boxes Etc we can assist you with our quality professional services such as copying, printing, and mailboxes. We even have a meeting room to hire. Call us on 01225 483666.